When you are building a new home you naturally want to use the best quality materials. This is not only for aesthetic purposes, but when your home contains cheap materials that are of an inferior quality they are more than liable to deteriorating over time, often not a very long time. 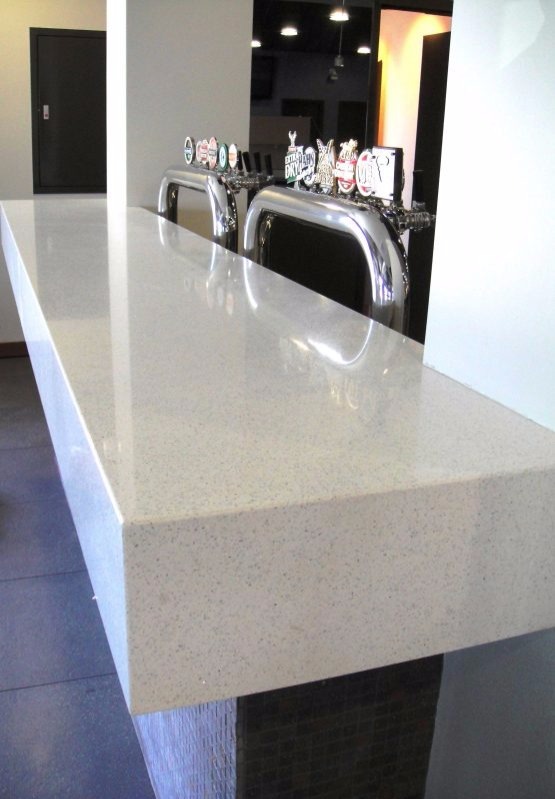 QSTONE is manufactured with incredibly high quartz for use in home and commercial property buildings. Using a combination of quartz and advanced resin, it creates a product that when used has stain and wear resistant properties. Whilst selecting natural marble for a property is a great idea for its aesthetic, the raw material does not stand up well against the test of time and easily stains. People often purchase the material for their kitchen benchtops and as soon as a glass of wine or stray drop of beetroot liquid hits the top can stain the surface. QSTONE is a quartz product that whilst retaining the beauty and opulent design of marble, is far more durable. Our product consists of 94% quartz and 6% advanced resin, with the binding agent creating a quality of material that will last. Our quartz is resistant to impact, corrosive materials, cracking and scratches. Quartz is perfect for kitchen benches and splashbacks, as it is resistant to the products you would find in an everyday home. Nail polish and food dyes? No problem. It’s not going to stain this benchtop. Also resistant to fruit juice, markers, coffee and wine. Our beautiful quartz comes in a fantastic array of colours and styles. From Diamond White to Steel Grey, Oyster Pearl to Belgium Black. Whatever style or aesthetic you are going for, QSTONE has you covered with an extensive catalogue of fine quartz. Style and opulence combined with quality and durability, this is what we strive to create at Q Stone. Like the sound of using our high-quality product for your new home build? Simply get in touch with the team at JH Wilberforce on (08) 9340 6222 or by filling out an enquiry form on our contact page and we will happily assist you with your enquiries. Quartz choice For Kitchen Renovations! Luxurious Marble Look for Quality Shenton Park Residence.